Byker and st Peters social club, Newcastle, NE62EH. 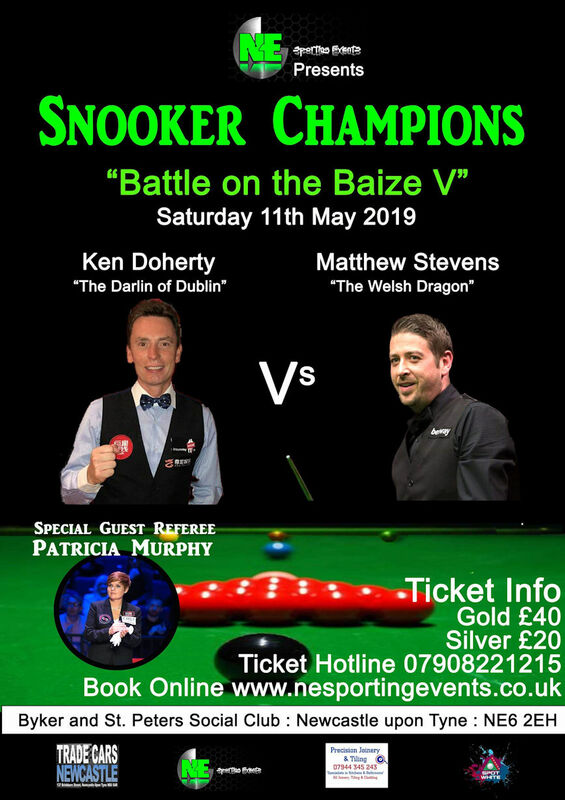 The former world champion Ken Doherty will play the former UK and Masters champion Matthew Stevens in a best of 3 frames match plus they will be taking on audience challengers. The event will be hosted by former top 16 Pro Ian McCulloch and officiated by Patricia Roberts. The event is kindly sponsored by Spot White, Trade Cars Newcastle and precision Joinery and tiling. Silver Ticket £20 each, event entry at 7.00 pm with unreserved seating. 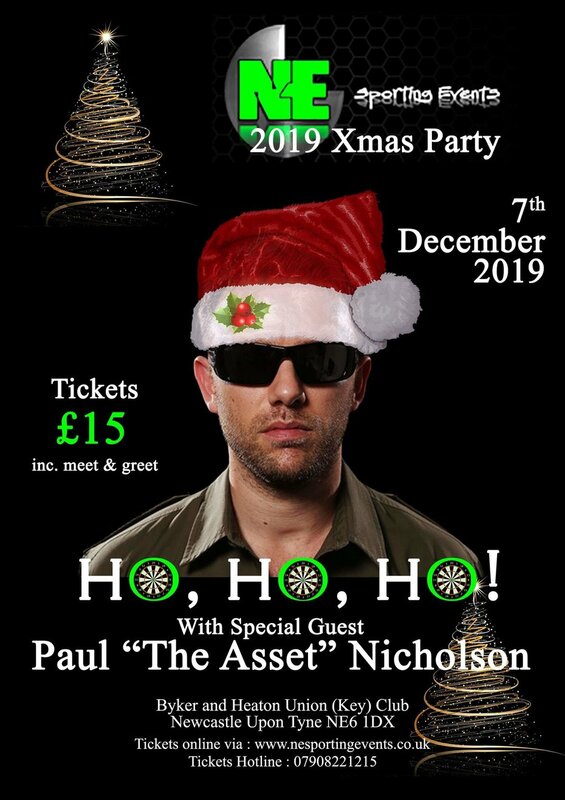 Gold Ticket £40 each, includes early event entry at 6.00 pm with reserved seating snooker table side, VIP meet and greet with the players and finger buffet. 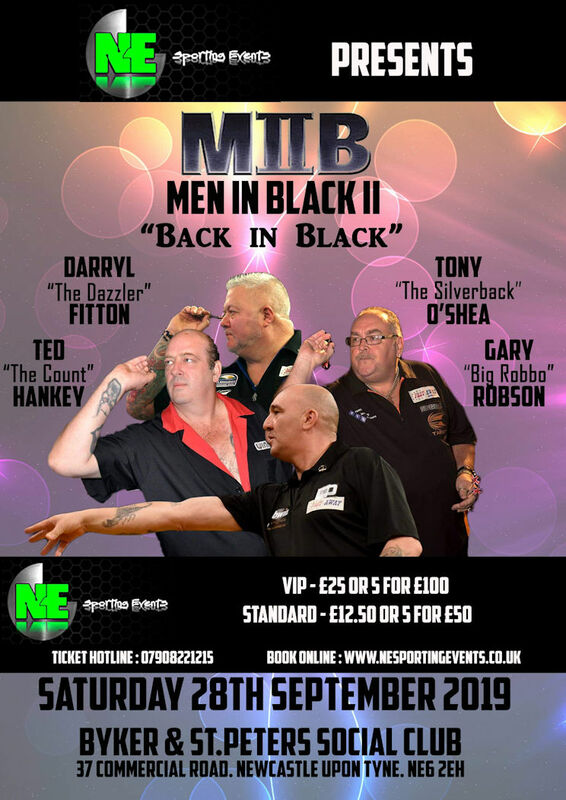 The men in black return better than ever before with their all new exhibition full of fun, laughs and tons of tungsten entertainment. Black VIP Tickets £25 each or 5 for £100 includes event entry at 6.00 pm, reserved seating and meet & greet with players. Blue Standard Tickets £12.50 each or 5 for £50 - 7.00 pm event entry with unreserved seating. SPONSORSHIP PACKAGES AVAILABLE FOR THIS EVENT.